What is the Best Water to Drink????? Home / Our Drinking Water / What is the Best Water to Drink????? You know about the various chemicals in our drinking water and maybe you’ve decided that unfiltered tap water just isn’t for you. After all, drinking plenty of good quality water is essential for a healthy lifestyle. If you care about your health, it’s important to make sure that you are drinking the best quality water possible. So what are the healthier alternatives to tap water? What type of water is really the best water to drink? 1. Many brands of bottled water, such as Aquafina and Dasani, are simply filtered tap water. These bottles are often cleverly labeled with words and images designed to evoke a false sense of quality and purity. 2. Plastic bottles can leech BPA and other plastic chemicals into the water. There are a few brands of spring water available in glass, such as Mountain Valley Spring Water, but you won’t often find these brands at your gym or local gas station. In addition, like tap water, bottled water is often tainted with fluoride, chlorine and other chemicals. 3. The bottled water industry is not environmentally sustainable. The production and shipping of bottled water (and even the recycling of bottles) uses up unnecessary resources and contributes to pollution. If you’re interested in learning more about the environmental impact of the bottled water industry, I recommend watching the movie, Tapped. Fresh spring water obtained directly from an uncontaminated source and stored in glass may in fact be the best water for human consumption. Spring water is naturally filtered, rich in natural minerals and is known to have incredible healing properties. If you’re interested in exploring the possibility of collecting your own spring water, there is a website called FindASpring.com that can help you locate a spring near you. Unfortunately though, for most people, collecting spring water on a regular basis (or using bottled water exclusively) is not a practical solution. Most of us live in areas where we are pretty much forced to rely on the municipal water distribution system for our drinking, cooking, cleaning and bathing needs. 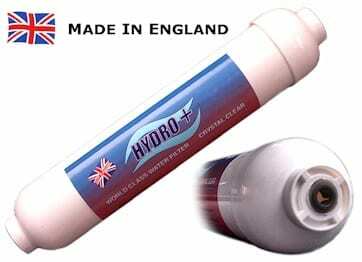 Investing in a high quality home water filter is probably the most practical and affordable long-term solution to the problem of tap water contamination for most people. It’s important to do a bit of your own research before purchasing a water filter, however, as the vast majority of the water filters on the market will not effectively remove most chemicals. Through my research, I believe that a water filters specifically designed to effectively remove fluoride and other contaminants are the absolute best option. A good water filter will remove chemicals like fluoride, chlorine and even radioactive water contaminants. And you can install these filters in your home by yourself with not too much effort. There are a few companies that sell these types of filters. My favorite are from a company called www.cleanwater.ie. These filters, which are available in a variety of forms and price levels, combine an activated alumina fluoride cartridge with a ceramic filter. Combining these two technologies creates what I have found to be the most effective and affordable water filtration system available. 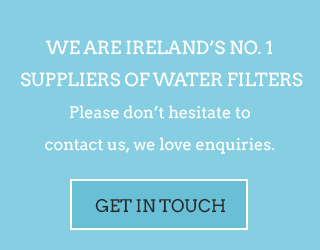 I encourage you to www.cleanwater.ie to learn more about their water filtration systems. « What is in your bottled water? What is the safest most pure bottled water to buy in ireland ?